This is decent. Not sure if it will see much play, but it's not a bad counterspell. 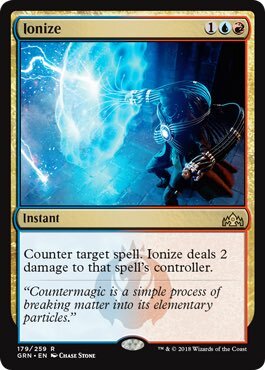 Interesting side-note: It's pretty rare for them to print an unconditional counterspell with no drawbacks that only requires a single U in the cost. The only other times this has happened are with Dromar's Charm, Fall of the Gavel, Out of Bounds, Psychic Strike, and Spell Blast/Spell Burst. I kind of consider the last two to be conditional counters, because they don't have fixed casting costs, and thus your ability to cast them is conditional on the casting cost of the spell you want to counter.